Supplies used: DCWV The Glitter Stack papers, Recollections Glitter Adhesive Borders, PC Stand-Outs, Heidi Swapp rubons, Me & My Big Ideas chipboard stickers, and misc buttons and dew drops from my stash. I used a Sketch Inspiration Sketch. The Monthly Challenge on Scrap Our Stash for April is “Bring in the Sun”. I don’t know why this was so hard for me but I am very happy with the outcome. First, I was stumped for what I was going to do. I looked through my stash and didn’t have “sun” anything. 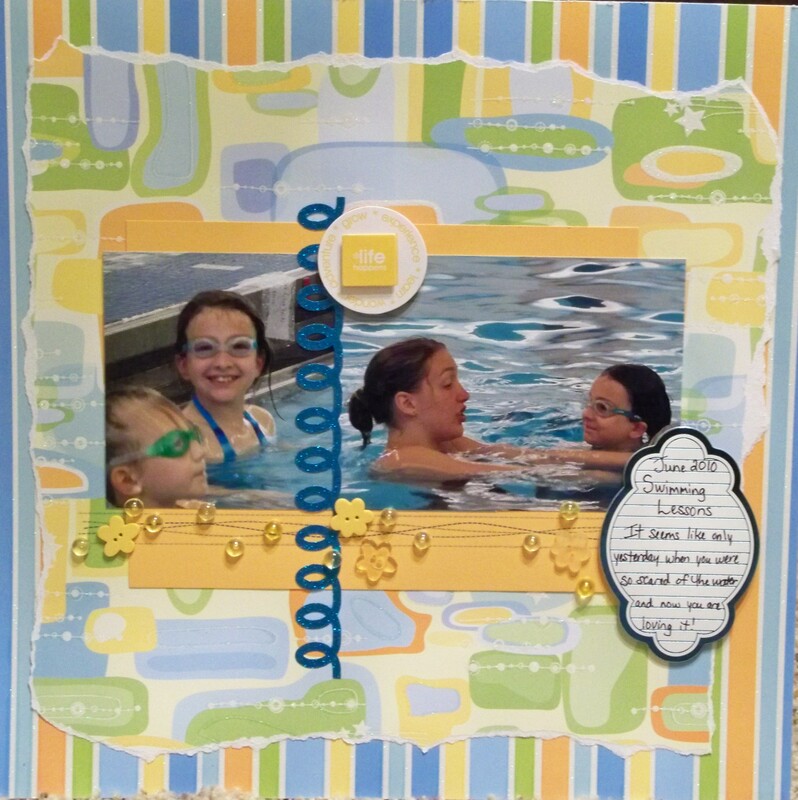 Then I found swim pictures and thought I would focus on the color yellow (one that doesn’t make it into many of my layouts). Then, I added my own little mini challenge to not use pink. 🙂 In the end, I love the layout. I think because it is so different and that will make a nice addition to my books. 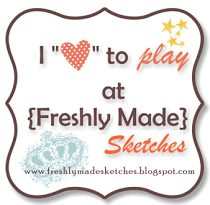 Go over to Scrap Our Stash and join the challenge!